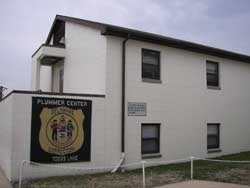 Plummer Community Corrections Center is located in Wilmington Delaware. The facility is responsible for both male and females who are in the work release stage of their sentence. Many of the work is done within the surrounding community and help with things like snow removal, spring cleanups, and other work that is supervised. The work release program can help inmates prepare for being released by reintroducing them to a structured and supervised life that extends into the outside world. Offenders who have full time employment must pay a small price of $25 per week to room and board. You must have an approved visiting application to visit with an inmate. Currently we do not know the visiting hours for this facility, and ask you to contact them using the number provided. If you know the visiting hours for this facility please leave a comment below.